Fun fact: As I write this, I’m awaiting the results of my first mammogram. It’s an awkward, somewhat anxiety-inducing, but nevertheless necessary rite of passage for most women over 40, and one I was admittedly slightly (slightly) overdue for. That’s right: I allowed the rest of my busy life to become a higher priority than potentially saving my life—and no, I’m not proud. Also a high priority? Knowing if I have what is known as “dense breasts,” which I’ve long suspected I do. Why is it important? Because, as the New York Times reports, breast density—the ratio of fat to tissue—is directly linked to breast cancer risk, and much of it comes down to early detection. Since it’s reported that more than half of women over 40 have dense breasts, it’s honestly a wonder mammograms are still the first step in assessing breast health, as opposed to 3D or ultrasound options. But because X-ray does give needed clues to breast density, in March, the FDA proposed new guidelines that would require breast density information to be provided both in the summary letter provided to patients and added to their medical reports, so that all physicians treating them are aware. It’s all necessary information if you want to “Know Your Girls,” says the ad campaign launched last May by the Ad Council and Susan G. Komen foundation, specifically with black women in mind. That knowledge could be a vital component to saving our lives; breast cancer is the most common cancer among women and the second leading cause of death, with over 12% of women expected to be diagnosed within their lifetimes. But for black women, that risk is exponentially higher—we are a staggering 40% more likely to die from breast cancer than our white counterparts, making it crucial that we know our girls, inside and out. Breast Cancer Awareness Month isn’t until October, but April is National Minority Health Month, and Know Your Girls is marking it with a breast cancer risk education campaign featuring some of our top digital influencers—Sharaya J, Freddie Ransome, Cydnee Black, Monica Veloz and Iris Beilin. 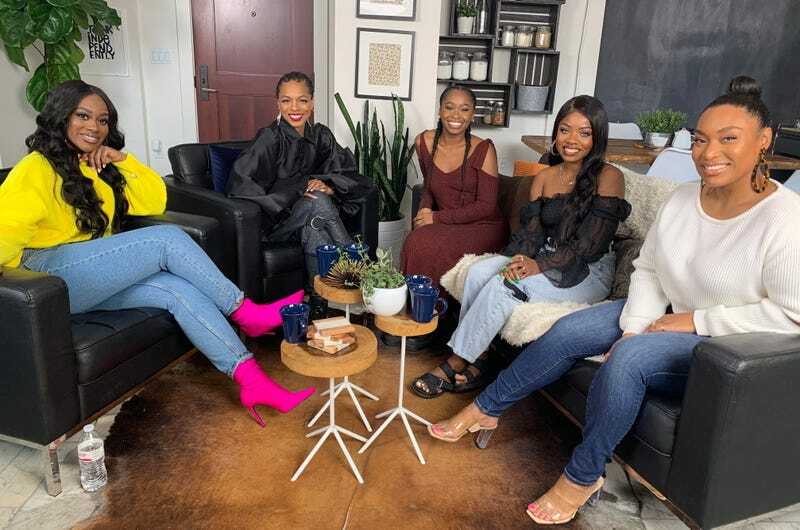 A roundtable conversation between the five women launched on April 9, and for the remainder of the month on each Tuesday and Friday, each will be featured in her own solo video discussing how breast cancer has affected her life, starting with Cydnee Black on April 12. You can watch the entire inaugural roundtable below—and check in with Know Your Girls biweekly to better understand why you should know your girls. Sure, mammograms are scary—but the unknown is scarier. So, get to Know Your Girls; your life may depend on it.